This is the second full day session I gave this week. 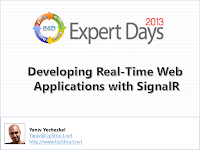 This one was about Building Real-Time Web Applications with ASP.NET SignalR, as part of Expert Days 2013 event, held by E4D at Kfar Hamacabia. 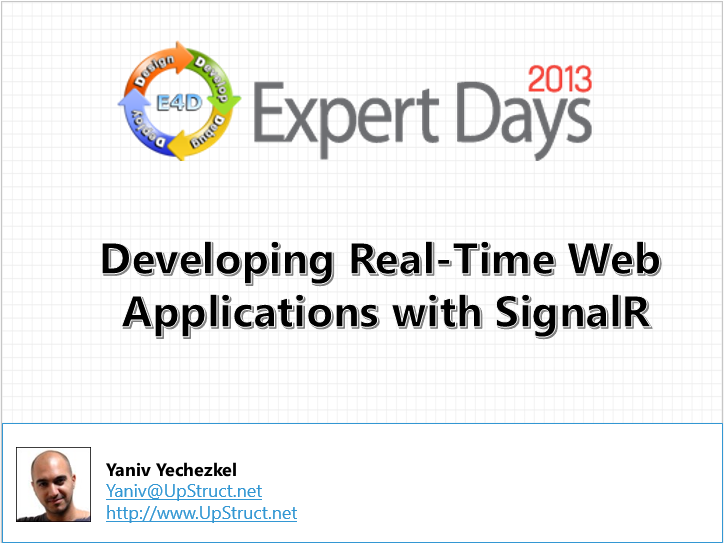 You can download the slide deck from here, or if you like, view it directly from here. All the demos are available to download from here. 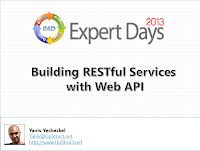 Early this week I gave a full day lecture about Building RESTful Services with ASP.NET Web API, as part of Expert Days 2013 event, held by E4D at Kfar Hamacabia. This week I gave a presentation about Java Script Unit Testing at the Front-End.IL User Group which was hosted at NICE's auditorium at Ra`anana. You might find it helpful to go over the series of posts below while you're going over the demos. 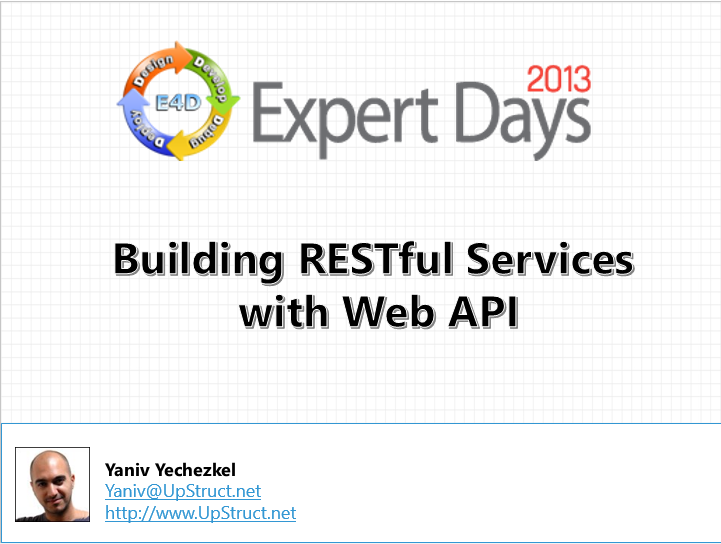 You can download the Slide Deck from here, or view it directly from here. Also, the demos can be downloaded from here. 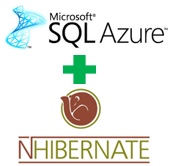 NHibernate supports several POID (Persistent Object ID) Generators, including: Identity, Guid, Guid.Comb, and HiLo. You can find a good explanation here, about the various strategies.